Dejima, originally uploaded by laurenz. For a long time, Dejima (in Nagasaki) was Japan’s only door to the world. 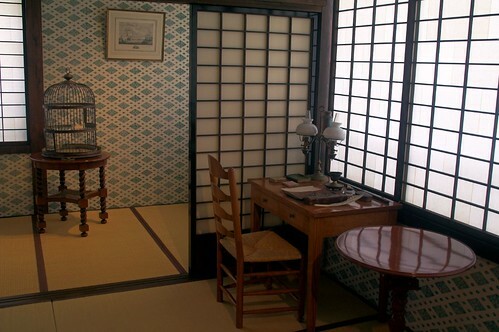 In the reconstructed Dutch factory, you can now see the unique blend of Japanese and Western culture: chairs furniture standing on “tatami” mats that are usually meant for sitting on a small zabuton or sleeping on the rolled out futon mattress.